Our book racks are made of high quality material. Plastic coated for easy cleaning. Available in different types and sizes. There is a suitable model available for every space! 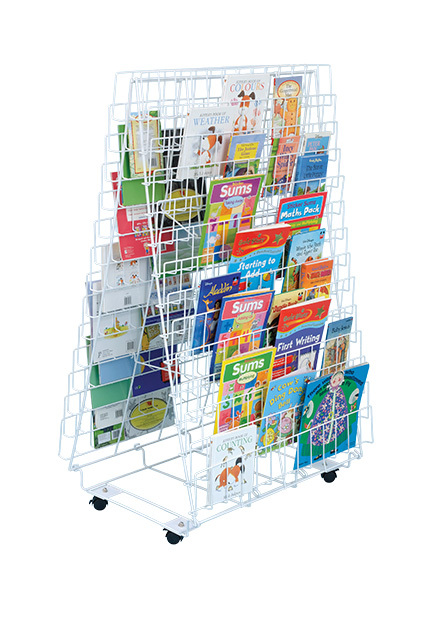 This double sided mobile book rack can hold up to 140 books and is ideal for moving books between classrooms. 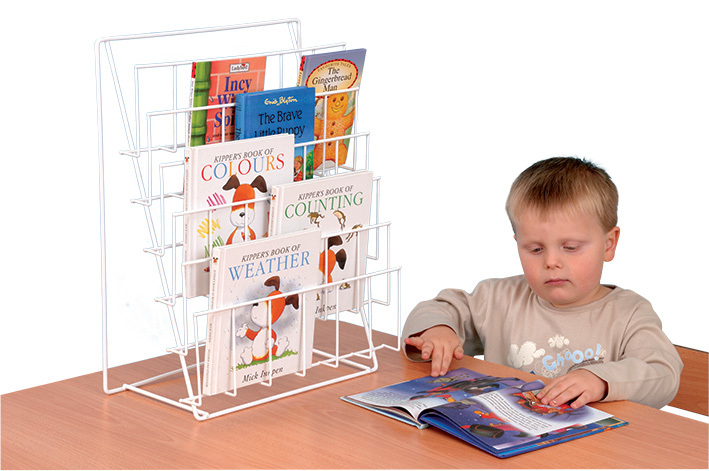 The book rack is manufactured from a high quality fine wire, which is plastic coated. Complete with lockable castors. 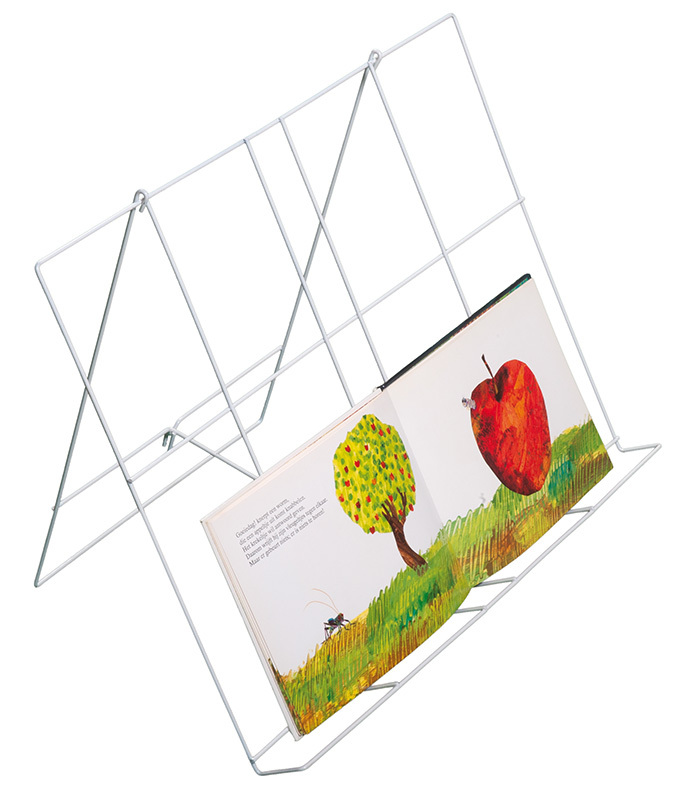 This wall mounted book rack comes complete with wall fixings and is an ideal solution where space is limited. The unit can hold up to 36 books face on. Plastic coated for easy cleaning. classroom reading. Suitable for large books. When not in use the book rest can be folded for easy storage. 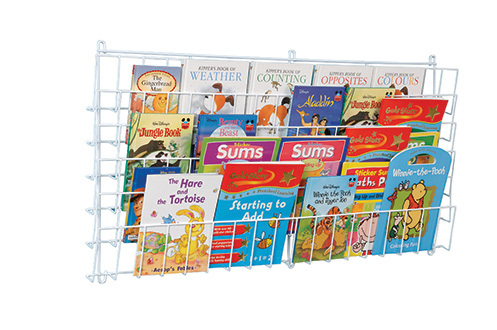 Table Top Book Rack is ideal for the smaller classroom. Holds up to 20 books. Plastic coated for easy cleaning. The rack can also be used for leaflet or brochure display.